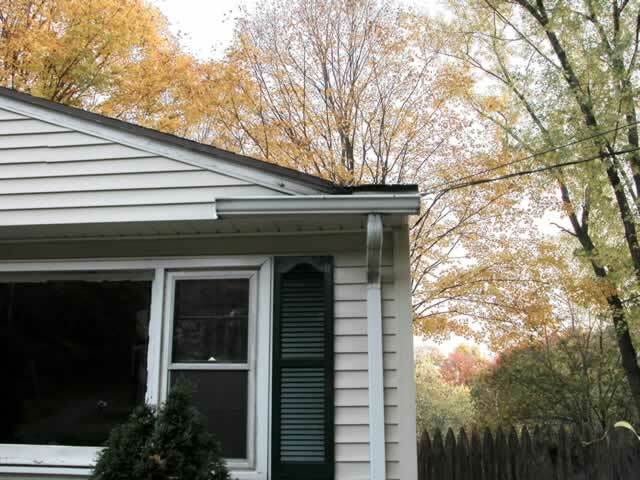 Cleaning the outside of your white gutters can spruce up the total look of your house. For houses with white gutters that have oxidized I have an option to brighten them up for you. I would happy to do a test section for you. 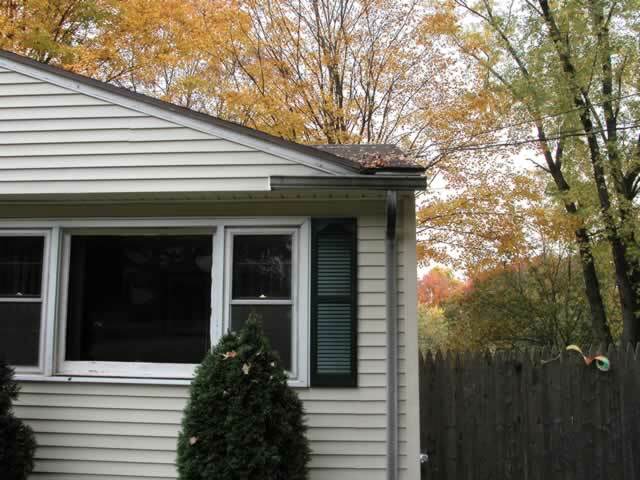 For white metal gutters that are oxidized and or covered with mold or mildew I have the products to clean them to a much brighter white. Badly oxidized gutters will be brighter but not always perfect. I am happy to do a test section to see if it meets the customers approval. One sample is pictured below; both before and after. For more detailed pictures click on each one. 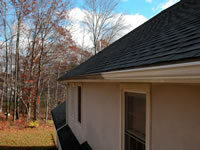 This is a partially cleaned gutter to show the difference before and after cleaning. It helps to show the contrast. 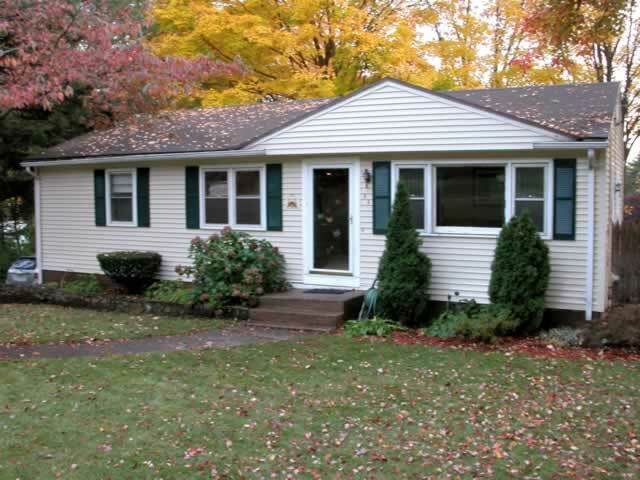 The underlying finish on the gutter affects how well the gutter will clean up. When done these gutters all sparkled.